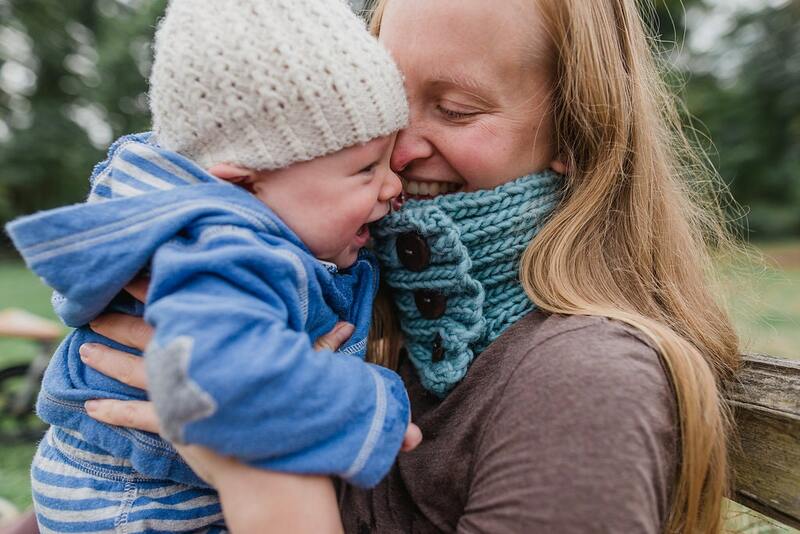 The soft wool against your skin... the warmth wrapped around you on a cold day... to me, this cowl feels like the ultimate in comfort. And that's exactly what I had in mind when I created this cowl pattern. 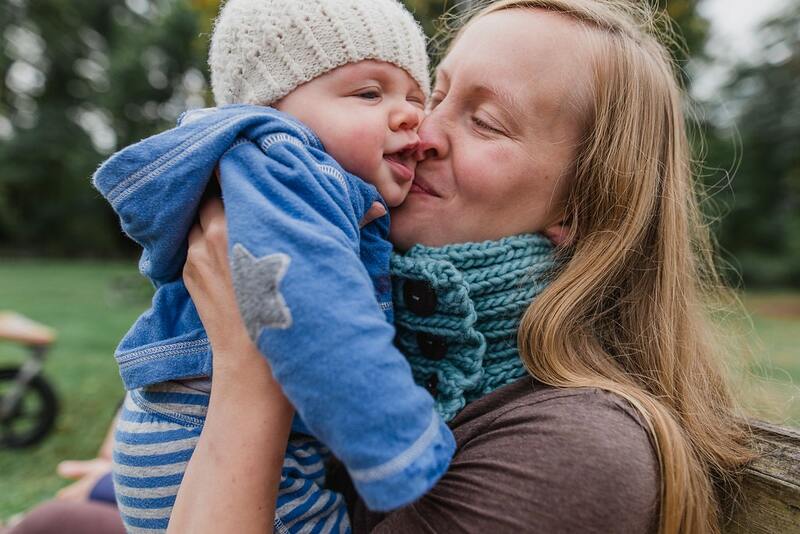 I've found that one size fits all when it comes to these cowls (and I think they are the perfect knitted accessory for mamas to wear while they snuggle their little ones!) 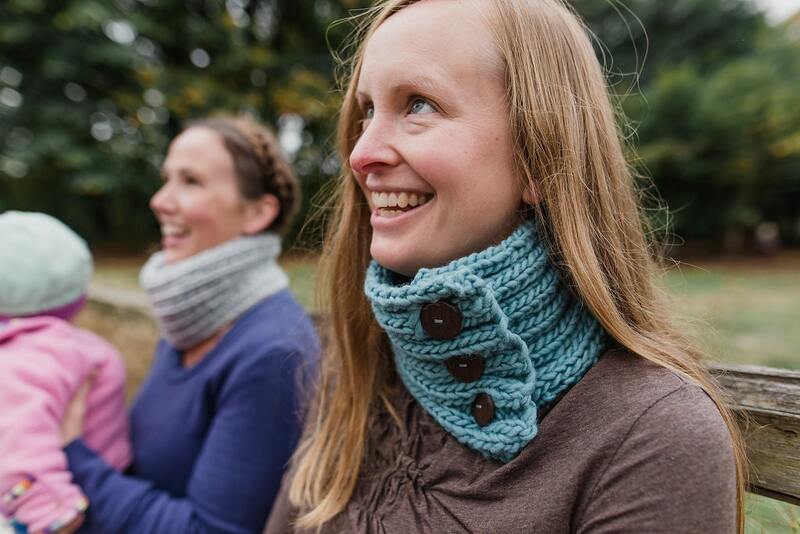 The cowl will stretch so you can pull it over your head, or you can undo the buttons to put it on. Handknit by me (Taryn) with 100% wool yarn that is sourced and spun in the US. (I purchase the yarn from www.quinceandco.com.) 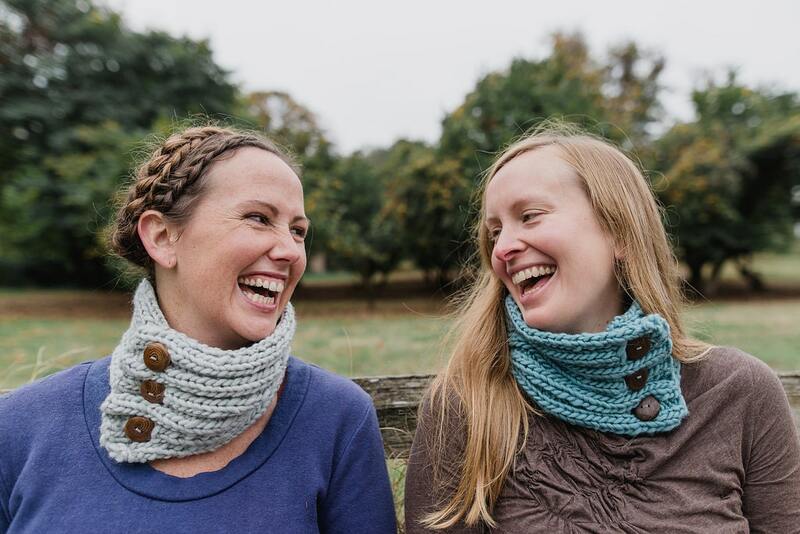 I really enjoy knitting these cowls and decided to start offering them in the shop. My husband Jeff is the woodworker and makes the buttons. 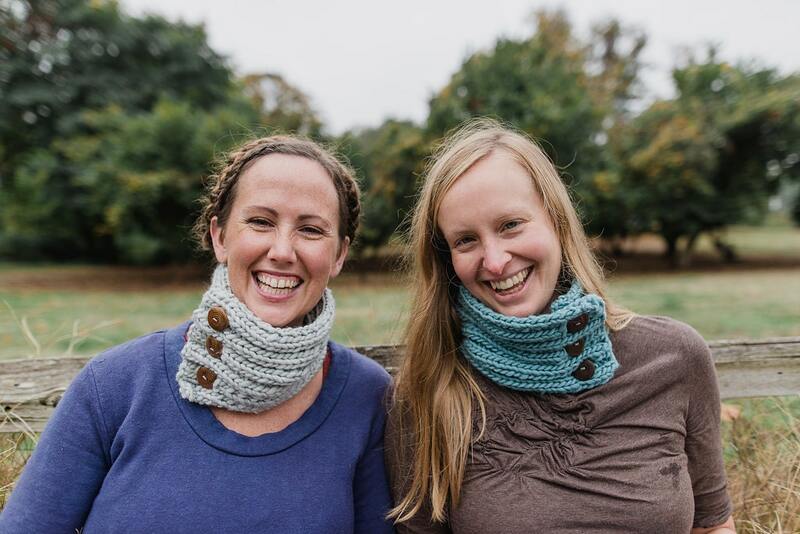 This listing is for a cowl with blue yarn and buttons made in black walnut wood. There are other color options available in the shop. Measurements: About 21 inches around.